The Northeast Ohio for the Homeless is concerned a large event zone around Quicken Loans Arena during the Republican National Convention will lead to unneeded searches of Cleveland's homeless. Coalition Executive Director Brian Davis told newsnet5.com he understands the need for tight security around the arena during the RNC, but explained the security zone is too large. Davis explained the event zone extends from West 25 to the inner belt bridge, west to east, and from Lake Erie to Carnage Avenue, north to south. It's a zone that includes 5 homeless shelters. 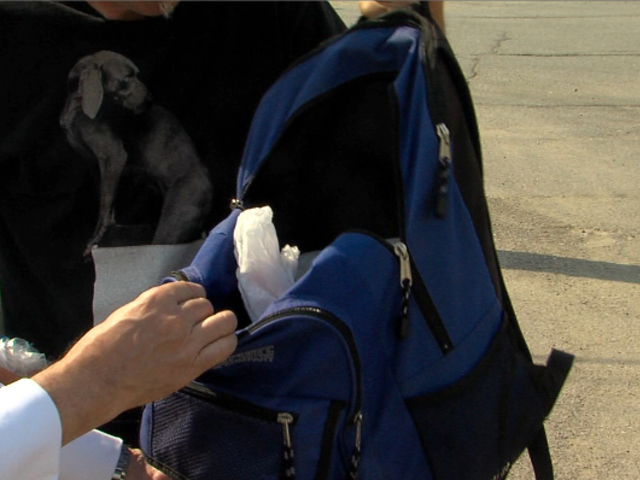 Davis said nearly 1,000 of Cleveland's homeless must carry all they own in a backpack everyday when they must leave the shelters, he believes backpack restrictions during the RNC will cause unfair searches. "Will they be targeted because they have no place to store any of their items," said Davis. "The enforcement zone is too large, way out by the municipal lot or over by west 25th across the river, it seems like that's extreme." Paul Browning, who has been homeless on and off for 7 years believes he'll be unfairly detained and searched. "Why do I have to be subject to any kind of search? This is not the airport, this isn't the Greyhound station," said Browning. "I just want to walk by and do my normal daily deeds, thank you. That's all there is to it, why do I have to be subject to any kind of search." Cleveland leaders like Deputy Police Chief Ed Tomba assured the coalition for the homeless that there will be no restriction on Cleveland's homeless population. "You may be asked to give identification," said Tomba. "Business as usual in an unusual manner, there will be some delays." Cleveland leaders say so far there are no plans to reduce the size of the event zone during the RNC. Still Davis is concerned the homeless will be too often detained, especially with dozens of police officers from other state s coming in to help with security.